A Red-tailed Hawk flew by with a Gray Squirrel hanging from its talons, the long bushy tail a banner of mammalian defeat. The hawk landed in a tree and spent maybe a minuted pulling at the mammal with its beak, no doubt ending its life. But the bird then moved to another part of the same tree, without its prize. Prey is hard-gained this time of year, so I figured the bird was stashing the prey to give to another. There was no other hawk in sight, and I had places to go, so off I went. 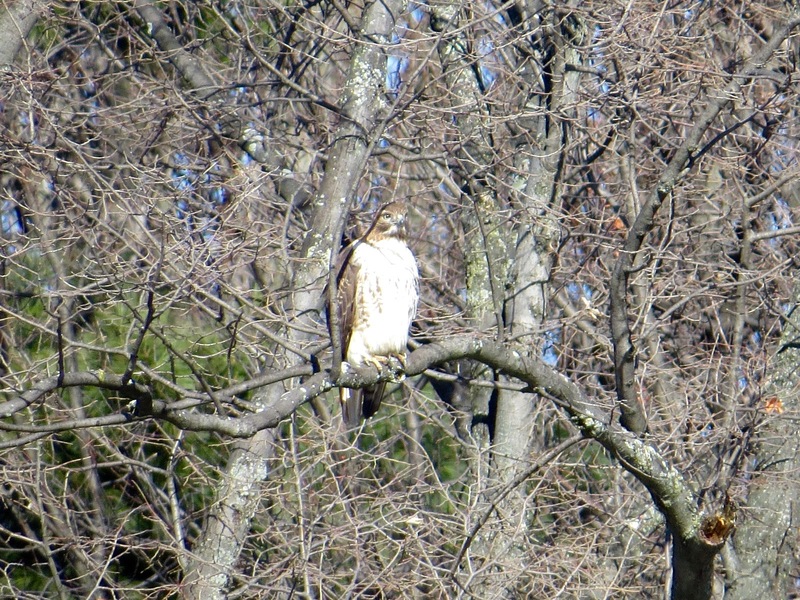 Then, two hours later when I returned to the scene, Sylvan Water in Green-Wood, a Red-tail flew out of the same tree. Then suddenly there was another in the air. The two adult birds — both with red tails, that is — wheeled around each other, and landed in different trees right next to or near each other. So I think my guess was right. The first bird was a male, who had taken the squirrel in anticipation of giving it as a gift to a female. Such gift exchanges preview mating. 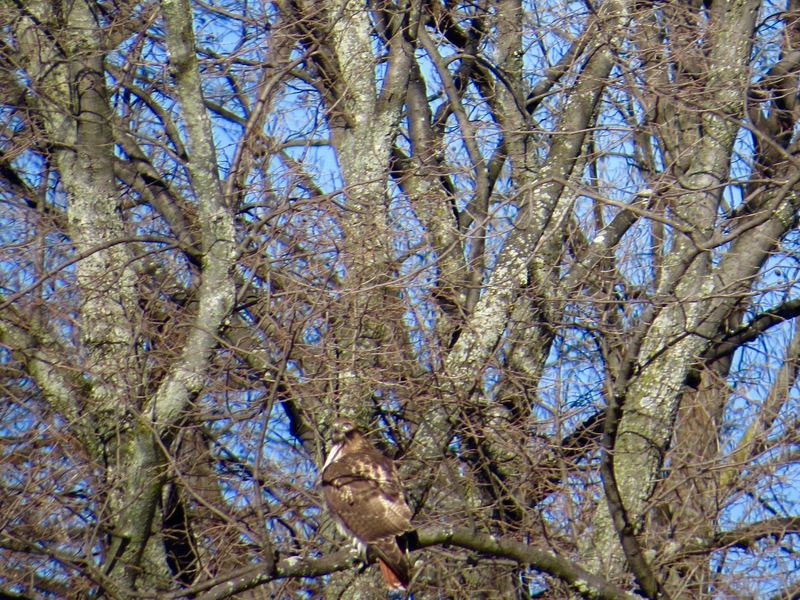 Didn’t see or hear — its screechy and very brief — that, but it’s not too early for Red-tails to get in the mood. Classic Red-tail sign: big white or very pale blob in a tree. Many’s the time a distant white spot in a winter tree has turned out to be one of these buteos. 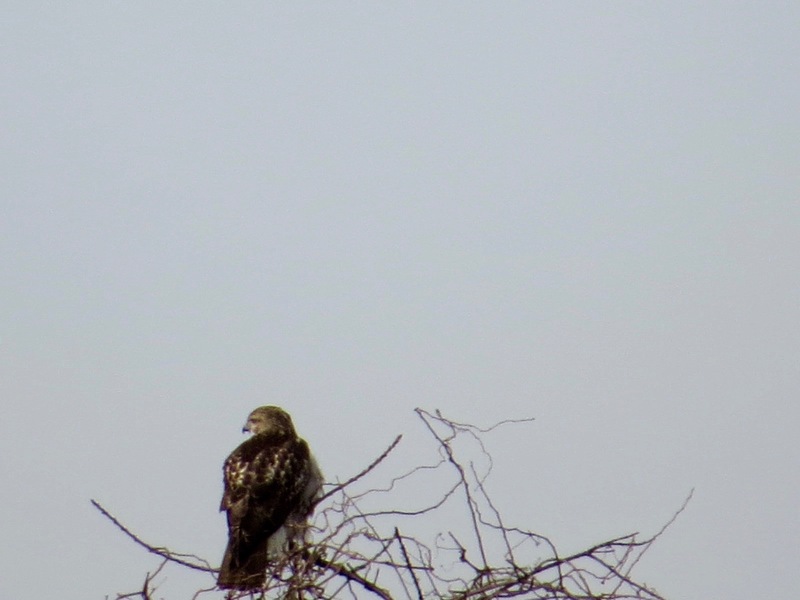 Red-tailed Hawk bonus: this time at Floyd Bennett Field, also at a good distance. And another in the Bronx. 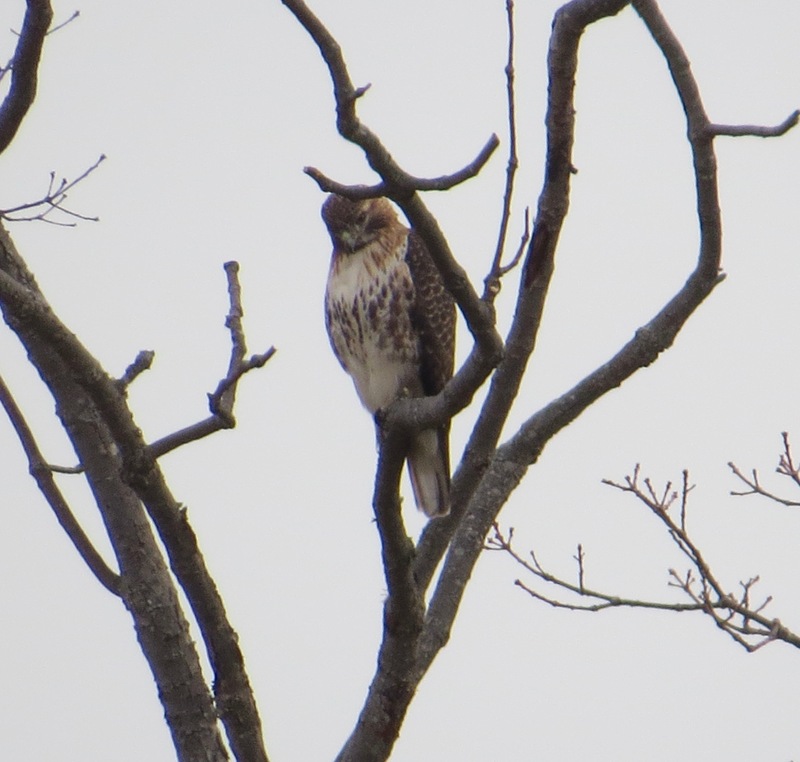 I’ve had 26 Red-tail Hawk sightings (counting very conservatively, in three boroughs of NYC) since January 1.